The boys’ soccer team recorded its first win of the season last week as the team defeated Ridge 5-0 on Tuesday, September 11. It was the 499th career win for head coach Tony Bednarsky. Leading the offensive outburst was Andrew Moglianesi ‘19 who recorded two goals and an assist. Also contributing goals were Jordan Canica ‘21, Micaah Garnette ’21 and Fin Turnbull ‘21. Adam Berrocal ‘19 added two assists. The Knights fell 4-1 to Hunterdon Central on the pitch Thursday, September 13. Canica scored the lone goal for Gill, and goalkeeper Alex Borto ‘22 recorded six saves. 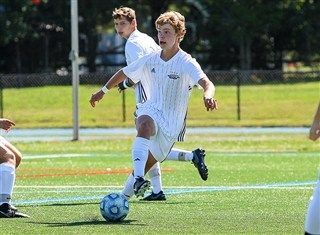 Be sure to check the boys' soccer page in the upcoming days for a recap of their experience at the Mainline Soccer Jamboree that took place on Sunday, September 16. 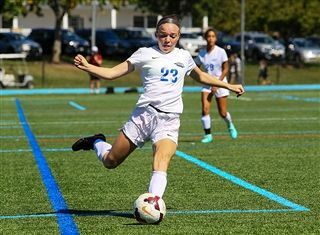 The girls’ soccer team continued its hot start to 2018 as the Knights went 2-1 this past week and outscored their opponents 15-2. Gill started off the week by falling to a tough Rutgers Prep team 2-0 on Tuesday, September 11. Goalkeeper Teresa Zimmer ‘20 recorded seven saves on the day. The offense picked up after that game, however, as the Knights topped Bound Brook 7-0 on Thursday, September 13. Leading the way for Gill was Hayley Goldin ‘19 as she scored two goals and recorded an assist. Also scoring goals were Ava Kolb ‘20, Kajal Mehta ‘19, Eve Ryan ‘19 and Catelyn Woelfle ‘19. The Knights were able to keep the momentum going through the weekend, as they defeated Manville 8-0 on Saturday, September 15. Goldin and Emily Raia ‘20 each contributed two goals. Also having a big day for Gill was Ryan, recording three assists. The Knights are currently 4-1 and sit in second place in the Mountain Division standings. 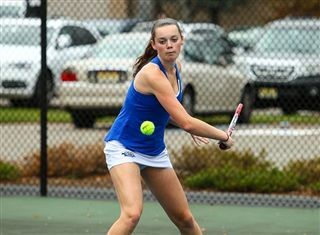 The girls’ tennis program continued its winning ways as the Knights recorded two more wins last week. Gill won its first match of the week, defeating Ridge by a score of 4-1 on Thursday, September 13. Mayjah Jean-Pierre ‘21, Ella Baker ‘21, and Michaela Kroon ’22 won their singles matches while Andree Aloise ‘19 and Tori Goldin ‘20 teamed up to win at first doubles. The Knights ended the week with a 3-2 win over Bridgewater Raritan on Friday, September 14. Jean-Pierre, Baker and the team of Aloise and Goldin won their matches in the victory. With a 4-0 record, the Knights currently rank 19th in the state. 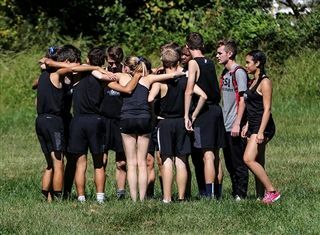 The cross country team faced its first competition of the season at the Newark Academy Invitational on Saturday, September 8. The invitational provided strong competition for the Knights as they went up against seven other independent schools in the area. Matt D’Ovidio ‘19 led the way for the Knights as he took 8th place with a time of 18:48. Other runners recording top-25 finishes were Neils Rongen ‘20 (11th, 18:55), Will Strong ‘22 (21st, 19:45), and Teddy Lazar ‘20 (24th, 20:11). Overall, Gill finished third out of the seven schools. The girls’ team also had a top-10 finisher, as Lucie Antonius ‘21 grabbed 9th place overall with a time of 21:16. Rounding out the top-three finishers for Gill were Lily Fischer ‘19 (42nd, 26:11) and Anne Wang ‘22 (51st, 28:48). The next invitational for the Knights will be on Saturday, September 22 at the Bernie Magee Memorial Meet.